Today we know that all bacteria, the beneficial ones in our gut and the dangerous ones which cause disease, communicate through molecules such as metabolites – a hidden chemical language. The assignment of molecules to the producing partners in a cell community can provide the key-link to decipher this secret chemical language of microbes. Unfortunately, current techniques are unable to connect the mixture of metabolites of natural systems to the different producers, which can range from small microbial colonies to complex systems such as the human gut microbiome. 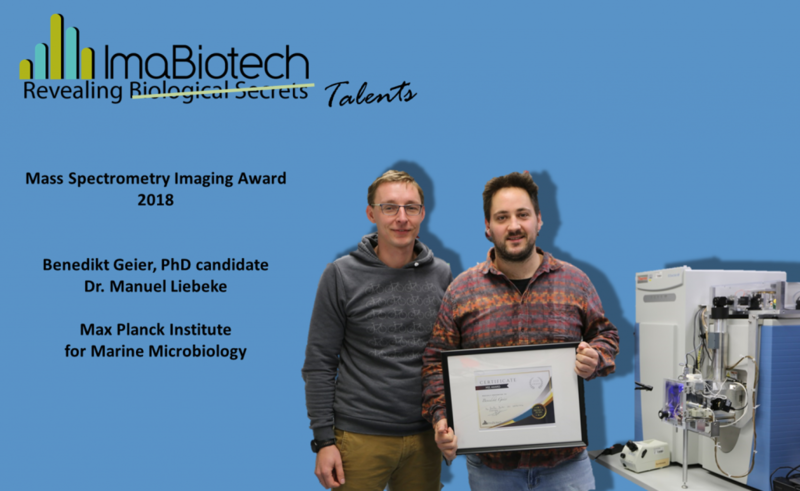 Therefore, Manuel Liebeke and Benedikt Geier (PhD student) developed a spatial metabolomics pipeline to image associated partners and hundreds of metabolites in situ within host-microbe symbioses, by combining fluorescence microscopy (FISH) and high-resolution mass spectrometry imaging (AP MALDI-MSI) on the same tissue surface. They introduced a spatial metabolome binning, which we termed metaFISH, a precise alignment and statistical analysis between micrometer-scale metabolite and fluorescent images. This correlative imaging data analysis provided the basis for the assignment of host and symbiont metabolites. They finally illustrated this approach by mapping the spatial metabolome of an animal-microbe symbiosis at the scale of single host cells. Our analytical pipeline revealed micro-scale metabolic adaptation of host cells to the symbionts, variation in the metabolism of bacteria with an identical set of genes, and novel symbiotic factors. Our integrative spatial metabolomics pipeline provides a culture-independent approach to link molecules of the metabolism to specific partners within mixed communities in situ – a powerful tool for microbiologists to decipher the hidden chemical interactions of microbes.